Grand Rapids, Mich., April 8, 2016 — On April 27, 2016, SpartanNash is launching a companywide fundraising campaign for Special Olympics programs where corporate-owned retail stores are located. The scan will run through May 8, 2016. At over 160 stores and fuel centers in 9 states, customers will have the opportunity to donate $1, $5 or $10 to their local Special Olympics chapter while at the checkout lane. When customers make a donation, they will receive four coupons toward Spartan® or Our Family® brand products. Stores will hold additional fundraising activities during the 12-day fundraiser. One hundred percent of donations raised will benefit the local Special Olympics’ affiliate programs in the communities where the funds are raised. SpartanNash (formerly Spartan Stores) has been the Presenting Sponsor of the Michigan Special Olympics Summer Games for 31 years. Each year, athletes at the Summer Games experience inclusion, acceptance, dignity, respect and joy throughout the entire weekend of events. The company has also supported Special Olympics Minnesota Summer Games since 2003 through the former Nash Finch Company based in Minneapolis, including sponsoring and serving meals at their Friday dinner and volunteering at the Summer games. In 2014, Special Olympics Minnesota awarded SpartanNash their Outstanding Business/Corporate award. 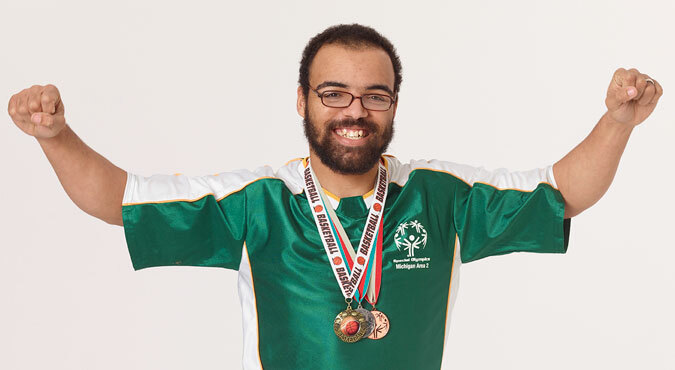 In addition to more than $8.6 million in financial support, SpartanNash has associates who volunteer their time at the Michigan and Minnesota State Summer Games and who help make these inspirational events a reality for the thousands of athletes who compete. Each year, SpartanNash also presents a “SpartanNash Healthy Athlete of the Year” award to a Special Olympics Michigan athlete who exemplifies a healthy lifestyle and the Special Olympics Oath—“Let me win, but if I cannot win, let me be brave in the attempt.” The athlete must strive for wellness, a balance of the mind, body and spirit. 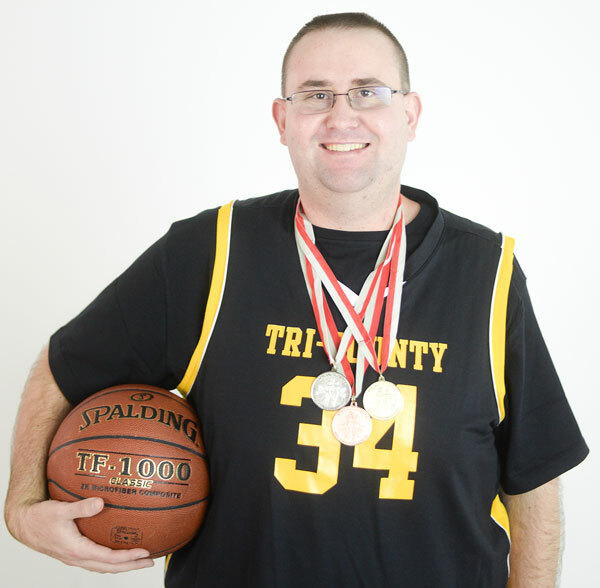 The athlete should eat a well-balanced diet and dedicate time to exercise outside Special Olympics training and competitions. Each year athletes from around the state are nominated. Ben Dornoff, 2016 SpartanNash Michigan Healthy Athlete. The 2016 SpartanNash Michigan Healthy Athlete is Ben Dornoff. He will be featured on the packaging of bottles of Spartan® brand water during the month of May. The specially designed bottles will be on store shelves at locations throughout Michigan. Jason Gieschen, 2016 SpartanNash Healthy Athlete from Nebraska. For the first time, SpartanNash has also selected a SpartanNash Healthy Athlete from Nebraska. Jason Gieschen will be featured on the packaging of bottles of Our Family® brand water, which will appear on store shelves throughout over 40 states. While at the stores, both athletes will be autographing personalized trading cards created by SpartanNash, which contain information about their personal and athletic achievements. For a complete list of locations and communities served through this companywide partnership, visit: https://www.spartannash.com/SpecialO.